Sparkle and Splatter: Magic Wand Pencil Topper! Some days, everyone needs a magic wand. 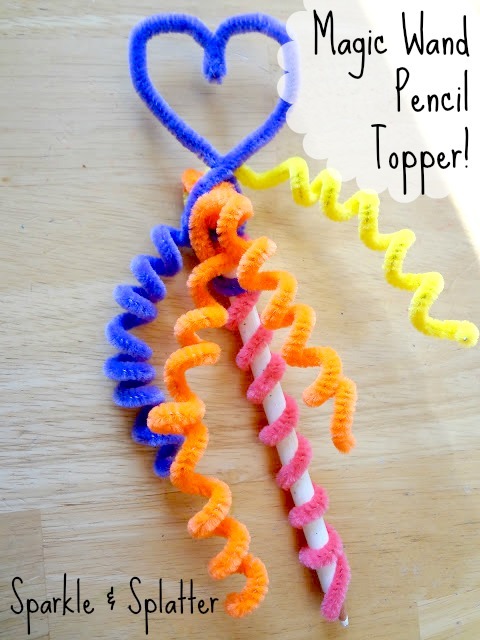 Here is one you can whip up in seconds and dress up your pencil too! And attach it to the top! Now you're ready to wave your magic wand around! Thanks! We had a lot of fun making ours!